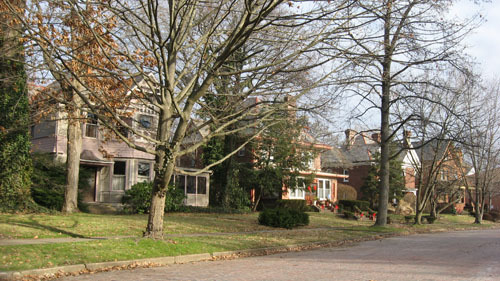 To maintain and promote the McIntire Terrace Neighborhood of Zanesville, Ohio, county of Muskingum. We strive to preserve the integrity of our founding fathers and their families. Our goal is to create a safe, pleasing neighborhood for families to live and grow and businesses to thrive. The McIntire Terrace neighborhood loves families of all ages! This area is known for its low crime rate, proximity to shopping, healthcare and restaurants on Maple Avenue and an easy, convenient commute on I-70 to the vicinities of Columbus, OH or Wheeling, WV. These include access to sports (hockey, football, baseball, basketball, soccer), state of the art medical facilities, shopping malls, specialty stores and a range of colleges and universities including The Ohio State University. The McIntire Terrace Association is proud of its public park – the Gale Garden. This garden hosts concerts, parties and events for all ages. A variety of seasonal activities are planned for the neighborhood residents. We are proud to have the Zanesville Community Theater as part of our neighbhorhood. Their professional scale productions include entertainment for the entire family’s enjoyment.